Few may have heard of Suneet Singh Tuli but the accolades keep coming. 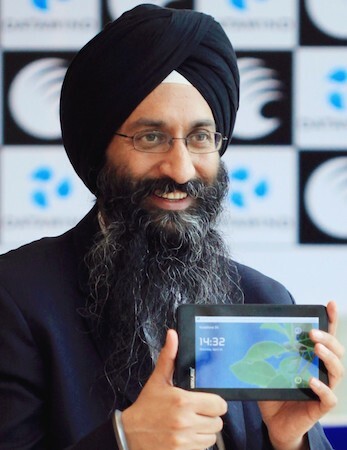 Few readers will be aware of his company’s ultra low cost tablet range but, at less than $40, they make a huge difference to deprived communities. Suneet’s latest accolade – Visionary of the Year from the Intelligent Community Forum – is yet another reminder that, in a world of easily accessible information, our perceptions and awareness are still limited by the boundaries of the daily diet served up by ‘news’ organisations. Our everyday awareness of the digitally disconnected (‘the other 4 billion’) is brought into sharp focus by this award. ← Evidently we don’t know where we are heading – so let’s not go there? But, seriously, do I really need to be in the top 10? I have a close readership who follow my stuff – they get it. I’m not flogging ideas or services to the great wide world or spear-heading some campaign. The notion that everyone wants to be number 1 (or 10 even) is quite odd. But I’m sure someone thinks you do a good job.